Posted in: 1 Pageant Pages, 2 Shout-out-Looks. 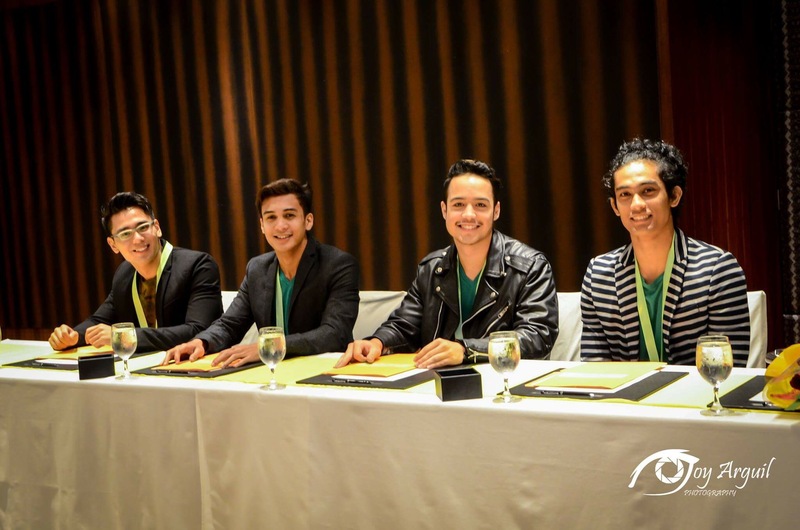 Tagged: Andrea Biondo, Christian Lumasag, CJ Hirro, Clarize Barrameda, Gentlemen of the Philippines, Jason Martin, Job Abogado, Joshua Marquez, Kian Sumague, Marco Polo Ortigas, Michelle Encarnacion, Miguel Maliwat, Miss Global Philippines 2016, Paul Renzo Velo, Perlyn Ocampo, Rex Calimbayan, Sammie Anne Legaspi. 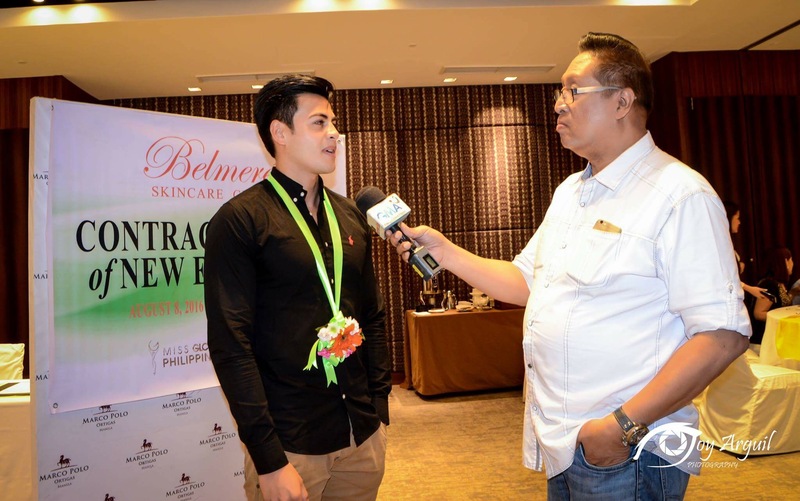 Following their selection as the newest endorsers of Belmeré Skin Centre by owner Michelle Encarnacion, the winners of Miss Global Philippines 2016 led by Camille CJ Hirro and Gentlemen of the Philippines bannered by Mister Universal Ambassador Philippines 2016 Andrea Biondo were ushered to a Press Launch that saw the ladies meet the gentlemen for the very first time. 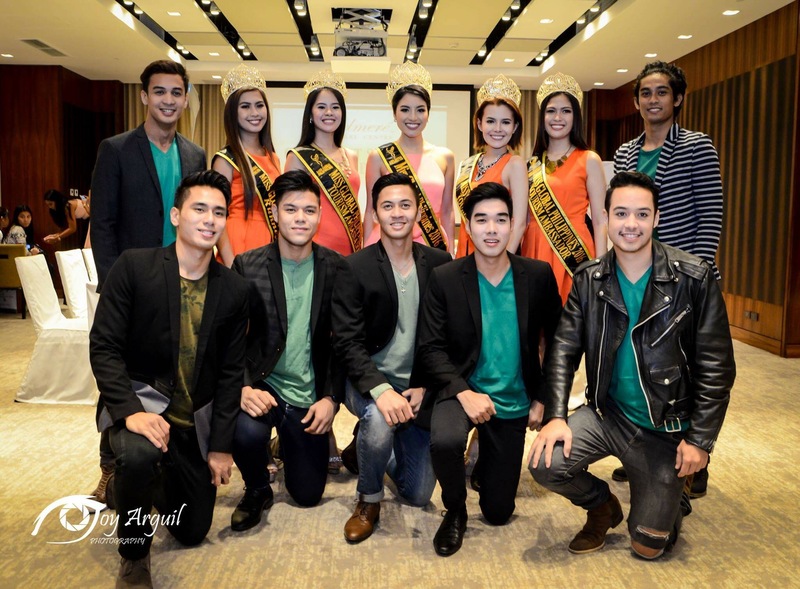 With Tourism Ambassadors Perlyn Ocampo, Sammie Anne Legaspi, Clarize Barrameda and Princess Garcia plus Gentlemen titleholders Job Abogado, Paul Renzo Velo, Jason Martin, Kian Sumague, Christian Lumasag and Joshua Marquez (with Runners-Up Miguel Alexis Maliwat and Rex Calimbayan), the two groups represent the new faces of the skin care centre that has assembled a bigger family of endorsers covering both male and female pageant winners. 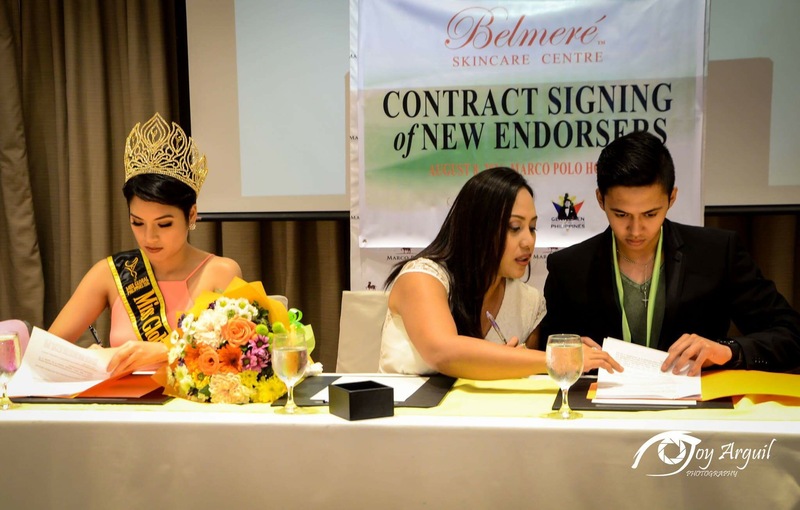 The big group are now certified to promote Belmeré for one full year with all their skin care services covered during their reign and pageant missions abroad. Members from the media, including Tito Lhar Santiago of GMA-7, were around to witness the contract signing as well as field in questions to everyone. 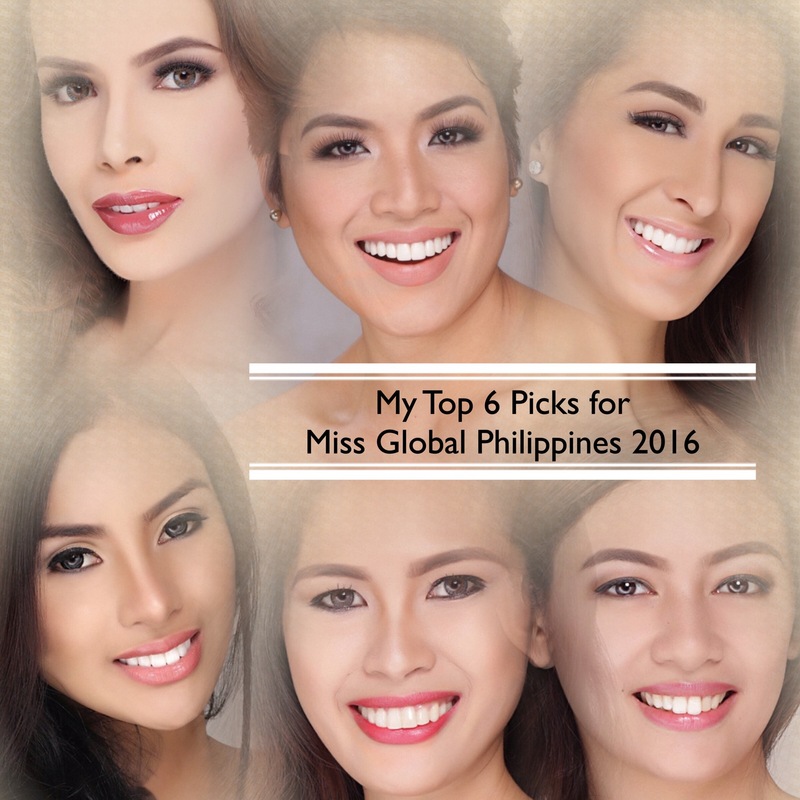 Who will be crowned Miss Global Philippines 2016? Posted in: 1 Pageant Pages, 2 Shout-out-Looks. Tagged: Camille Hirro, Candice Ramos, Clarize Barrameda, Janelle Olafson, Miss Global Philippines 2016, Pauline Laping, Perlyn Ocampo, Resorts World Manila. One of these 23 ladies will win Miss Global Philippines 2016 tomorrow night! Tomorrow night, twenty-three beautiful ladies will compete for the Miss Global Philippines 2016 crown currently being held by Candice Ramos. And at the rate these contenders have performed the past month, it sure would be difficult for the judges to pick the ultimate winner. It could all boil down to that one final question or it could also be a mix of first impressions/latest impact altogether. Be that as it may, my Top 10 selection includes Janelle Olafson, Perlyn Ocampo, Camille Hirro, Danica Ebrada, Clarize Barrameda, Kimberly Isla, Marcia Nicole Bautista, Krishia Antonio, Kristine Joy Cruz and Sammie Anne Legaspi. 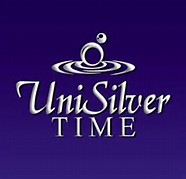 My feeling is that this group has really stepped up to the plate all throughout pre-pageant activities and more. Of course, the list of ten would not last that many in the final tally. So I filtered the choices further to six potential winners. I know that practically everyone here could seal the deal with a good performance in the Q&A. Top of my head, though, I would give the edge to three – public speakers Camille Hirro and Janelle Olafson plus single mother Perlyn Ocampo. 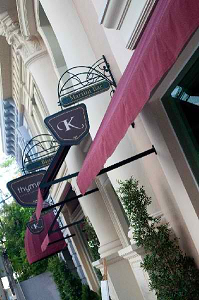 Individually, they can claim the crown on their bright merits. So from this point hereon, it is a matter of which one among them the judges and organizers took a solid shine on and never waivered in any segment. 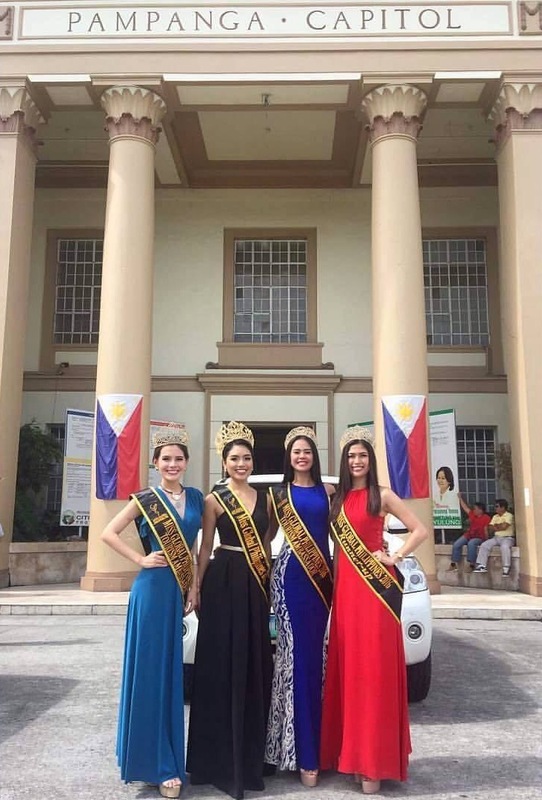 A single mom for Miss Global Philippines 2016? Why not? Posted in: 1 Pageant Pages, 2 Shout-out-Looks. Tagged: Miss Global Philippines 2016, Perlyn Ocampo. There is equal opportunity in the only national beauty pageant that welcomes single mothers as candidates – Miss Global Philippines 2016. For as long as the civil status remains as such, then bring it on. And Perlyn Ocampo is benefitting from the unique eligibility twist. I had a pleasant encounter with eleven (11) of the candidates of Miss Global Philippines 2016, and Perlyn stands out with her oh-so beautiful face and shapely body. Now in her mid-20s, she is glad that the chance for a single mom to join a beauty pageant is still available. She loves taking part in the contest, and being the mother of a 5 year-old son as well. She is also quite articulate – more than just eye candy, if I may add. Perlyn knows that getting pregnant at 19 practically dashed all hopes of doing pageants. But with MGP2016, she is all-out in proving her worth. Just recently, she topped the swimsuit competition held in Boracay. 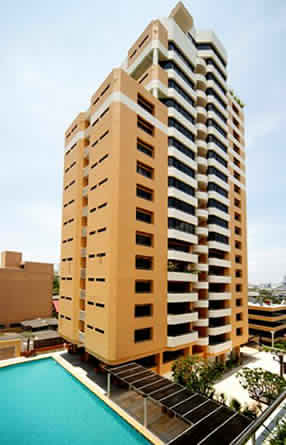 And that special honor is setting her up as one of the strong favorites to do good in the finals scheduled for June 4. Will the organizers set a new trend for the type of winner to succeed last year’s Candice Ramos? That will really be both newsworthy and significant, in my opinion. And for someone like Perlyn Ocampo, I sure would give my nod in a heartbeat!